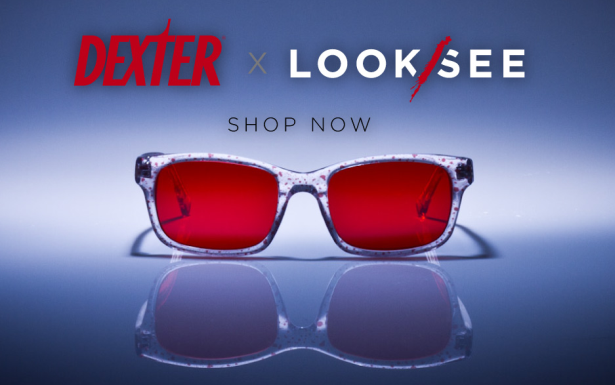 LOOK/SEE is following up on last year’s Dexter LOOK/SEE collaboration with another pair of limited edition sunglasses in celebration of the final season. 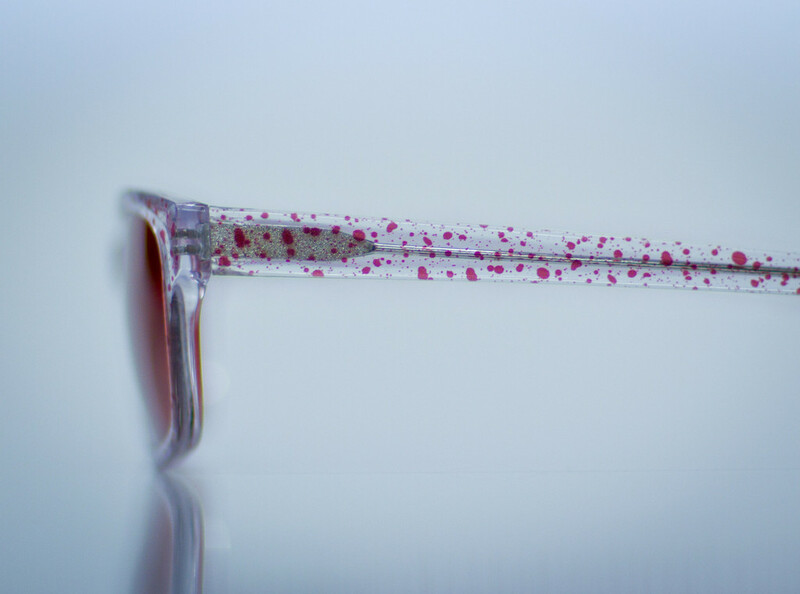 Inspired by the blood slides Dexter would collect from his victims, this year’s collaboration features a high quality crystal acetate frame covered in red splatter. 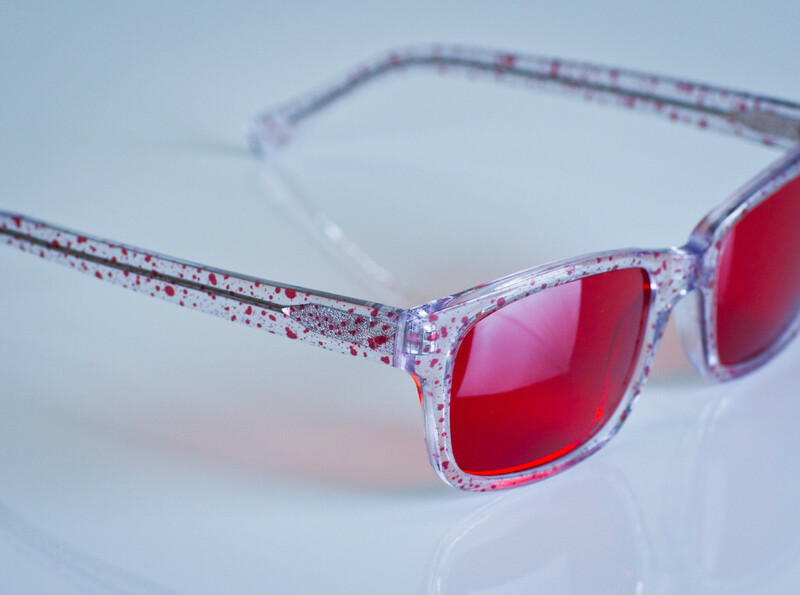 The Dexter Blood Spatter LOOK/SEE Sunglasses will have you seeing red, even if your dark passenger is currently at bay. 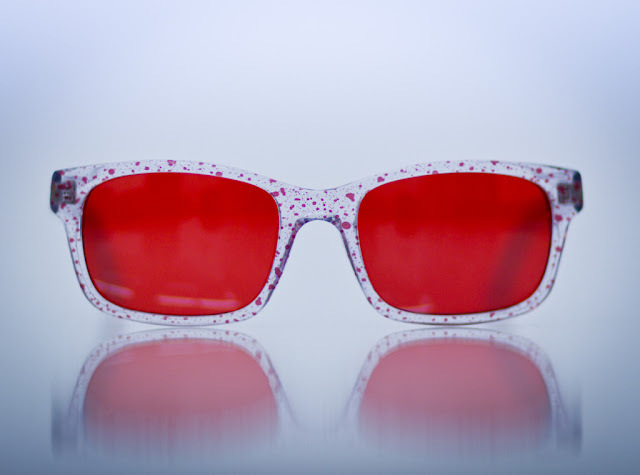 The Dexter Blood Spatter Sunglasses are handmade by LOOK/SEE from custom acetate. The clear plastic frames feature Dexter’s blood handiwork with two mirrored red lenses with 100% UV-protectant CR-39. Frame your world in a Dexter state of mind while showing you’re the greatest fan of Dexter with these fashionable collectors items. Skip the jump for more photos and info. Only 300 pairs were made and are available at lookseegoods.com and through Showtime’s official Dexter webstore. Each pair costs $110.00.